The Roland TD-1K V-Drums Electronic Drum Kit is ideally suited for drummers of every age! In fact, children, as well as adults, can enjoy making music on this set. This is because one of the main features of the set is the ability to adjust the height of the drum set to whatever level you desire. This means that you can make it short for youth or high for tall adults. This drum set comes complete with everything you need to practice your drumming skills. It is one of the leaders in the mid-price level drum sets. This set is especially well suited for beginners. The Roland TD-1K V-Drums Electronic Drum Kit comes complete with a hi-hat, crash, ride, hi-hat and kick pedals, TD-1 percussion module for sounds, 3 tom pads, 1 snare, a drum rack that is adjustable to various heights, 3.5mm cable for sound, a polishing cloth, and three different sets of sticks. The Roland TD-1K V-Drums Electronic Drum Kit is one of the most affordable drum kits on the market. It is ideal for novice players who are just getting their start on an electronic drum set. One factor that makes this especially appealing is that the set can be adjusted for a variety of users, including children and adults. This is especially beneficial for drummers who are short or tall and need some extra room. The option to adjust the height of the set to many different levels is very unique among drum sets. In addition, the easy to use interface, the variety of expressive drum kits, and coaching functions are also helpful to players who are just starting out. This set will even let you record yourself playing or provide play along options aimed at helping you improve your musical talents. Overall, this set has minimal complaints. Mainly, you may want to be aware that this set is not ideal for professional players who plan to play live shows. In addition, there have been reports that the plastic foot pedals have cracked and are not durable. Prior to spending several hundred dollars on a drum kit, you may want to know more about how this kit compares to other drum kits in the industry. One similar kit is The Alesis Nitro Kit Electronic Drum Set. Both share many features, such as built-in sounds, all needed materials included, and the option to record yourself playing. However, The Alesis Nitro Kit Electronic Drum Set does not allow you to adjust the height to as many levels and therefore is not a good choice for kids. Furthermore, the Alesis Nitro Kit Electronic Drum Set has many more problems, such as drums and cymbals not responding well when activated, poor sound quality, and durability problems. Another similar drum set is the Alesis DM10 X Mesh Kit. This kit offers hundreds of sound samples. In addition, it also has a mixer and similar features to help you improve your playing ability. 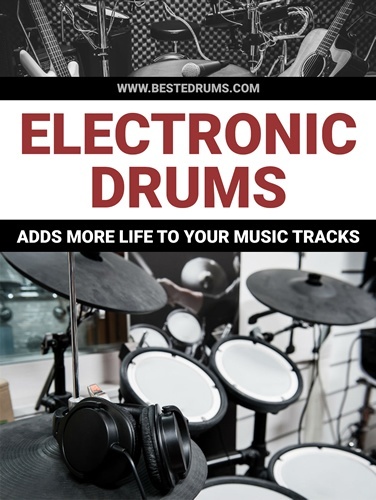 However, unlike The Roland TD-1K V-Drums Electronic Drum Kit, this set is best suited for professional players due to the skill it requires to set up your own preferences and software on the system. Overall, the Roland TD-1K V-Drums Electronic Drum Kit is ideal for children and adults of all ages, who are just beginning to learn the drums. 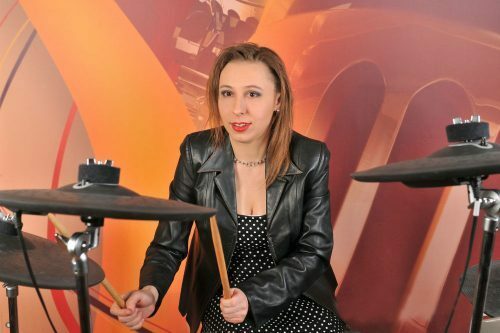 A number of features, such as coaching, play along, recording, help novice players learn the drums much more quickly than sets that do not offer these features. For the price point, beginning players will get a mix of value and features to help kick-start their newfound hobby. Users may have to invest in an additional kick pedal if there’s cracks, but compared to other drum sets, the Roland TD-1K V-Drums Electronic Drum Kit has many less overall complaints.